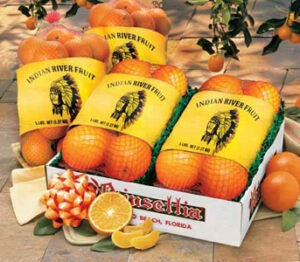 Citrus Gift Pack - Multiple Grove-Fresh Gifts In One! Florida Sunshine In A Bag! Behold bags and bags and bags of sweet Florida citrus. Each piece is picked at peak of perfection so you get that amazing fresh off the tree flavor and with up to six bags of Indian River fruit, you’ll have something for everyone on your list. It’s your choice of all Navels, or a delicious Navel & Grapefruit mix.